Aaron: I'm from Bowie, Maryland. 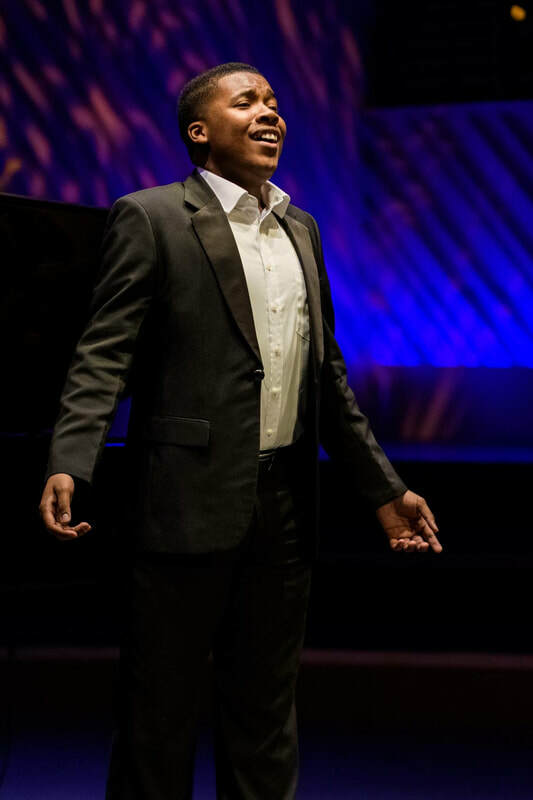 Aaron: I attended Lake Arbor Elementary School, Ernest Everett Just Middle School, Suitland High School, and I currently attend The Curtis Institute of Music in Philadelphia. Copa: Where and when did you discover your love for music? Aaron: I discovered my love for music when I was younger. I started singing in church and I've done that all my life. It was always a big part of me. Copa: Who has been your biggest musical influence in your life? ​Aaron: My mother is the worship leader at our church and I always wanted to be like her when it came to some of the decisions she made as a singer and as a leader. Copa: Have you learned to play any instruments? Copa: At what time did Classical music enter your life? ​Aaron: My high school had a performance arts program, so I had to audition. Even though we were required to audition with one of the "24 Italian Art Songs", I still assumed that we would learn how to sing pop like Beyonce's or Michael Jackson. I was very wrong about that. I soon realized that we were required to take voice lessons and learn how to sing classically. Copa: Would you please name 4 of your favorite vocalists? Copa: What is your philosophy to the art of Music? ​Aaron: I think the music is such an incredible art form. And I'm not just saying that because I am a singer. Music touches people in so many different ways. I just love that two people can hear the same music and have totally different experiences. It's kind of like when you look at an abstract painting. Everybody doesn't see the same thing because it's so subjective. Copa: What does the future hold for Aaron Crouch? ​Aaron: I'm still very young so there is a lot that can happen between now and when my career actually starts. But, I hope that I can make a few debuts and win some competitions within the next ten years. Copa: Tell us about your voice and how you wish to move others musically. ​Aaron: Each time I sing, I hope that I can touch someone with the music. I try my best to be very expressive, so that the audience can understand what I am singing about even if they don't speak the language. I want people to feel good after hearing music. It should be kind of like therapy.